In stock -This product will ship today if ordered within the next 8 hours and 47 minutes. This was the very first lunch box design from Black+Blum. It is packed full with clever functionality and cool design details. 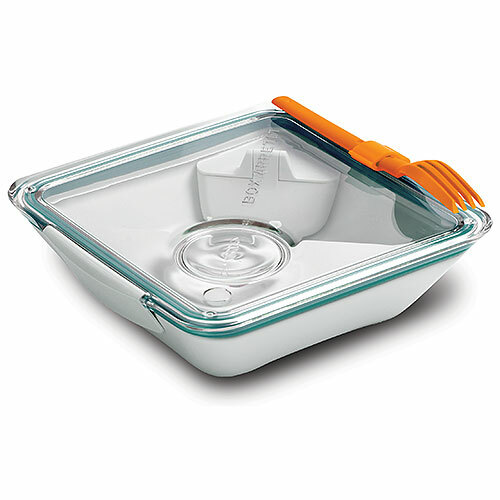 The ‘glass like’ lid features a sauce dipping area and locks to the body for a water tight seal. A sauce pot so you can dress your salad just before you eat it and an inner dish allows you to split different foods so you can microwave a hot dish, but keep other foods cold. There`s even a clever fork which has a cutting edge down one side for easy one handed eating. 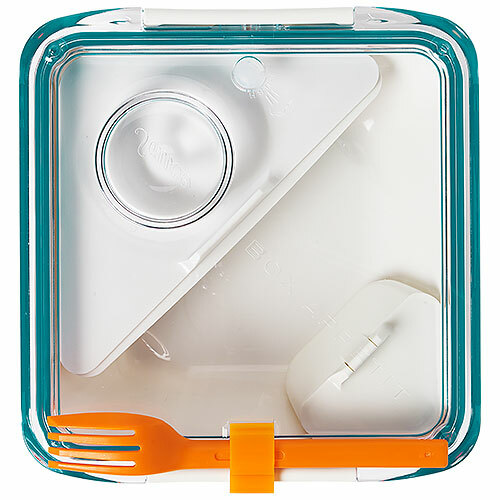 Below are reviews of Black+Blum Box Appetit Lunch Box Ocean by bodykind customers. If you have tried this product we'd love to hear what you think so please leave a review.